I don’t know about all of you, but my husband and I haven’t dined out on Valentine’s Day in probably fifteen years! That night it is overly crowded, and the food is always expensive. Most years we do a dinner out on another night and a family dinner on Valentine’s Day itself. But this year, it falls on a Thursday which happens to be a night my teens will be out at a weekly function. 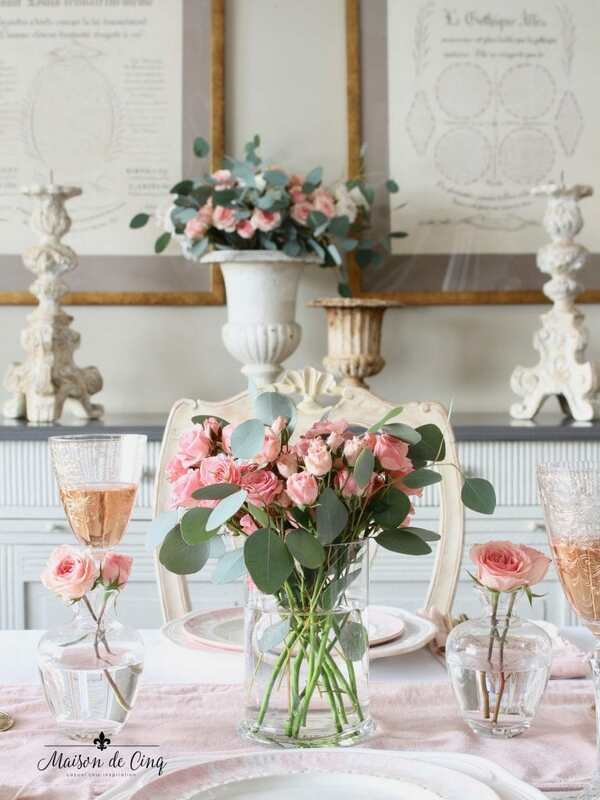 So I thought, why not do a special dinner at home in our own dining room? 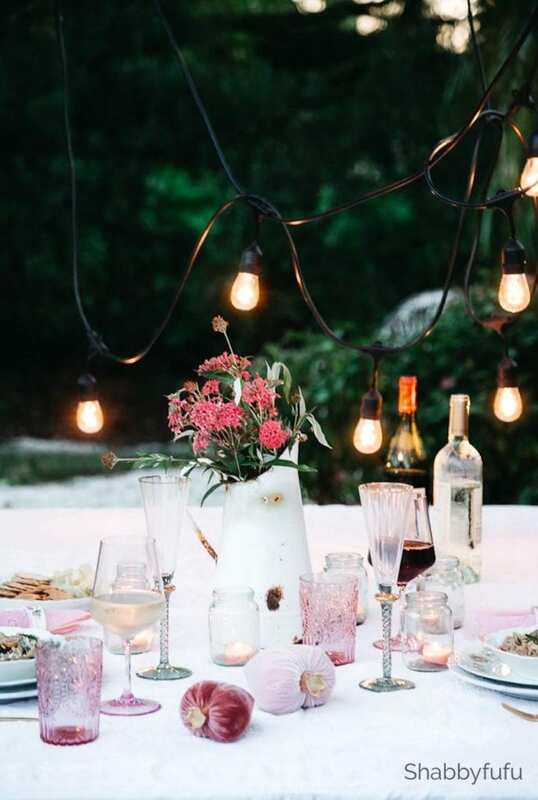 Candles, good food, uninterrupted conversation and no crowds or over-priced food – sign me up! 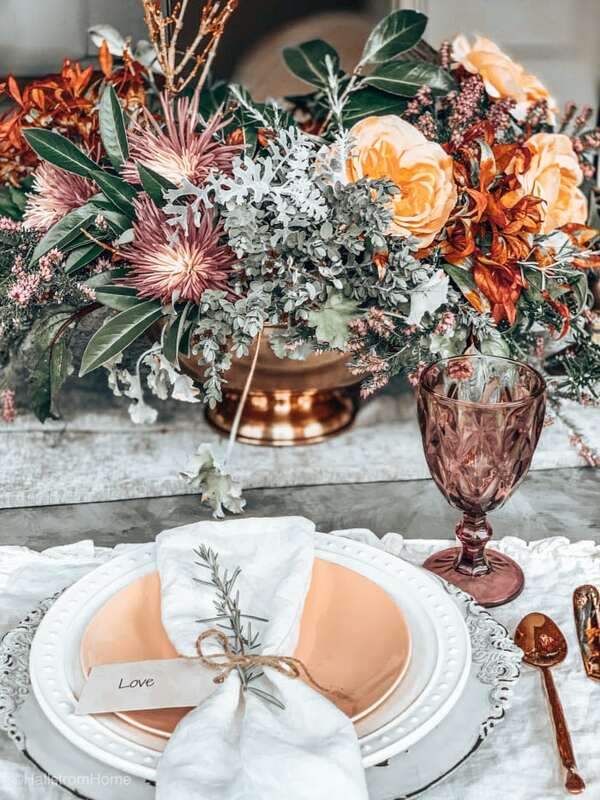 And because I do love putting together a pretty table anyway, this is a great way to celebrate without breaking the bank. 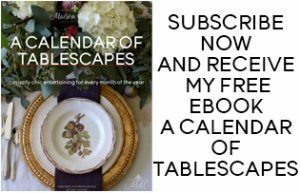 If you’re like me and are always looking for new table setting ideas, be sure to check out my free e-book which is full of tablescapes, complete with sources and all my tips and tricks! 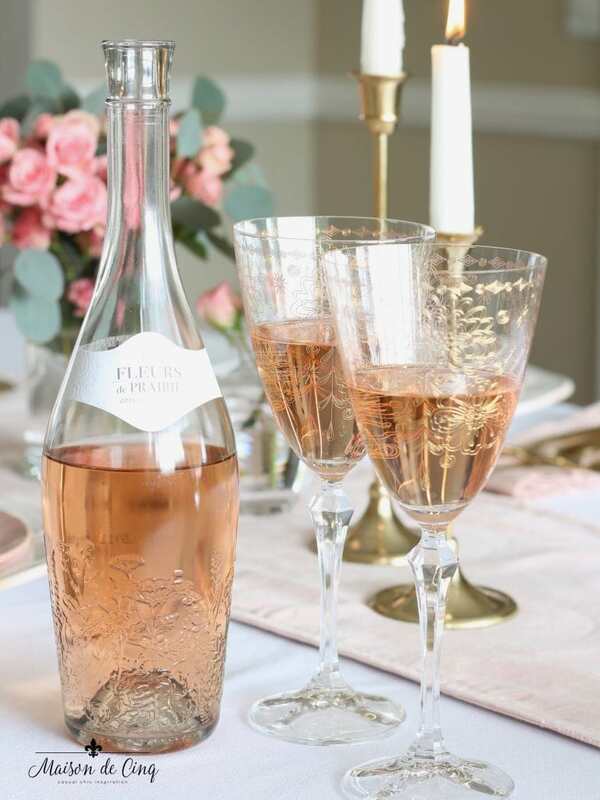 As you’ll see below, with just a little effort, you too can create an easy and Romantic Valentine’s Day Table for Two! 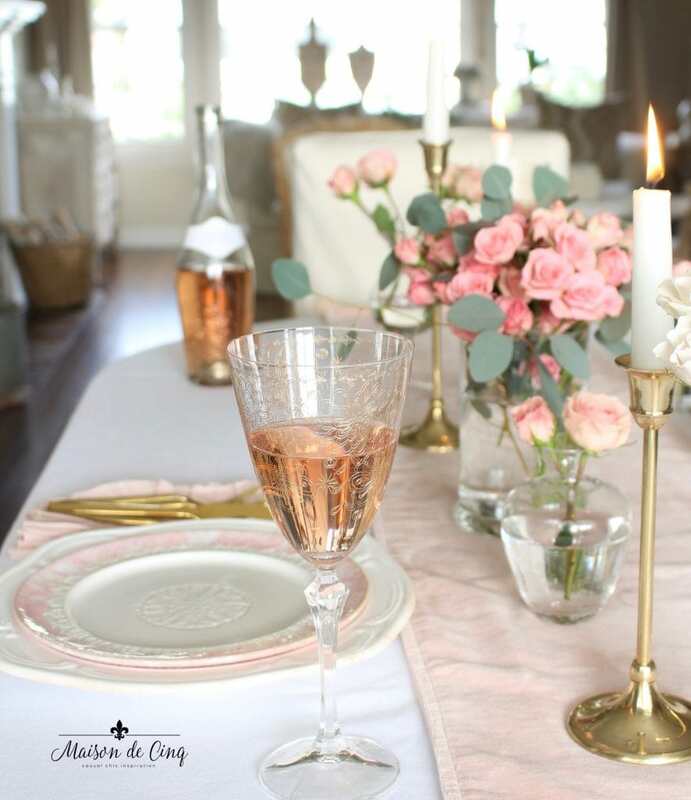 I’m not a huge fan of red in general, so I focused on soft pinks to create a romantic table without a lot of fuss. 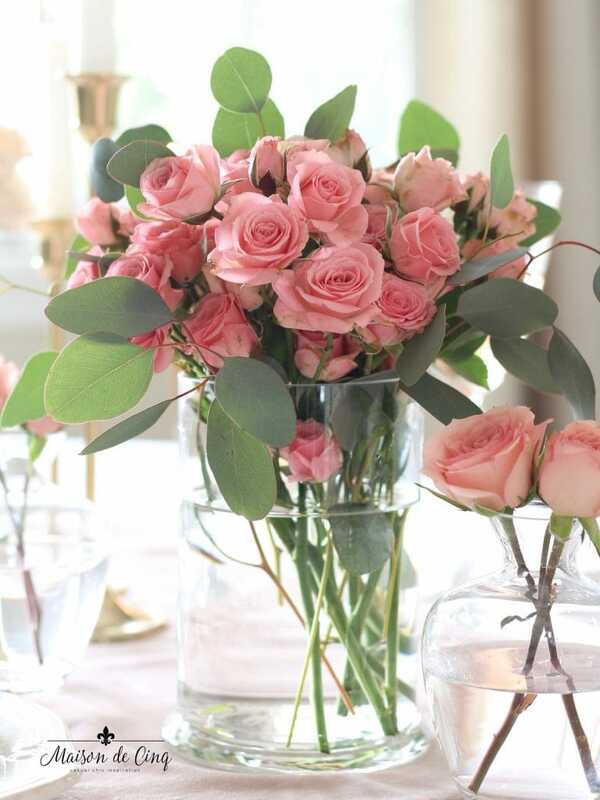 And since roses seem to be the universal Valentine’s Day flower, roses it was! I found these miniature sized ones in several shades of the same pink and I’m smitten! They were less expensive than the larger ones, and I was able to get three dozen for under $20! 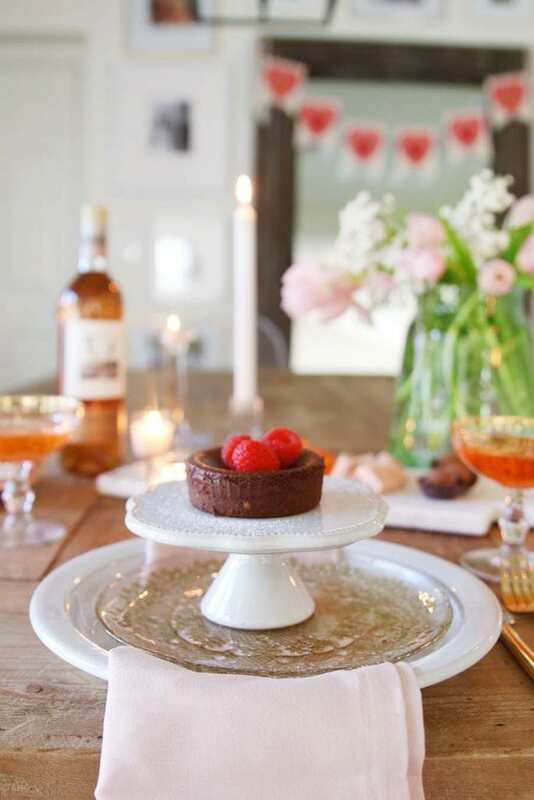 As I usually do, I added a pretty salad/dessert plate to the table to add some interest. I didn’t want it too “theme-y” since this is for adults (last year I used cute heart plates from Pottery Barn but that was more of a family table). 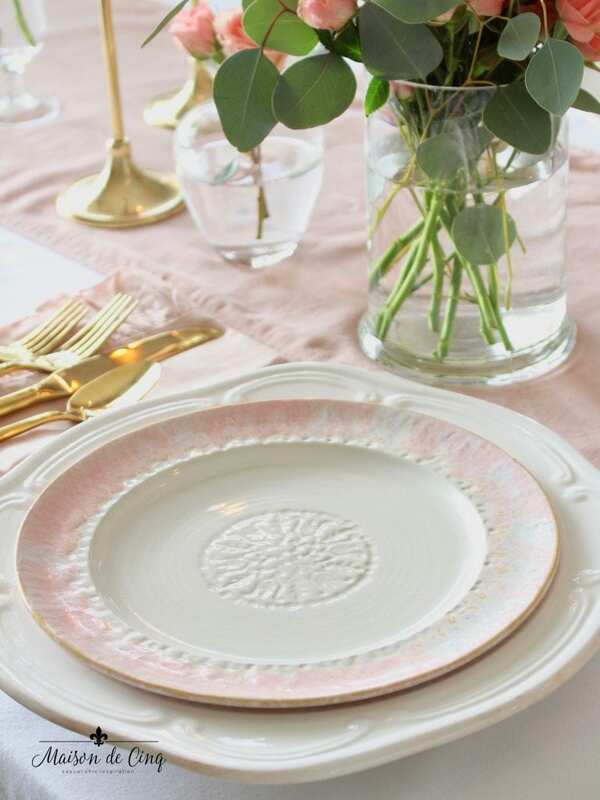 I love that this plate is pink, but I can use it all spring and summer! The runner is a soft pink velvet and I love the texture it adds. 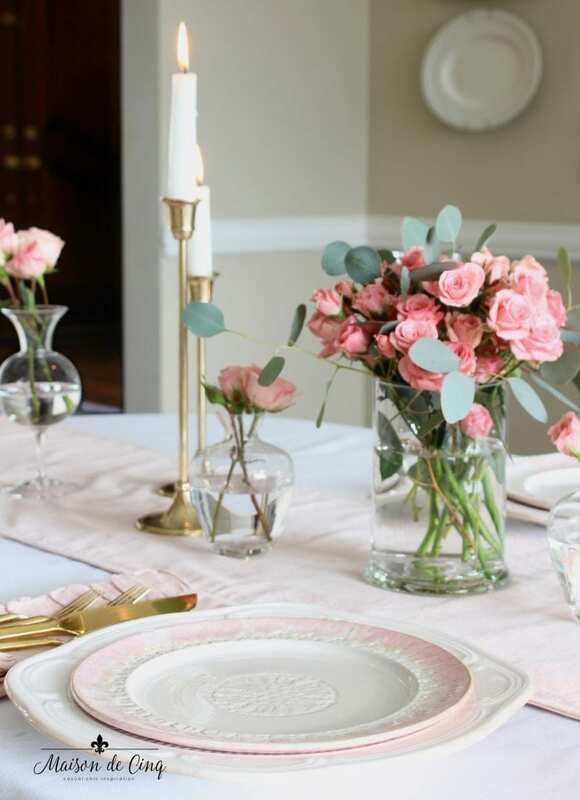 You could even use it again for a spring dinner party or Easter brunch! 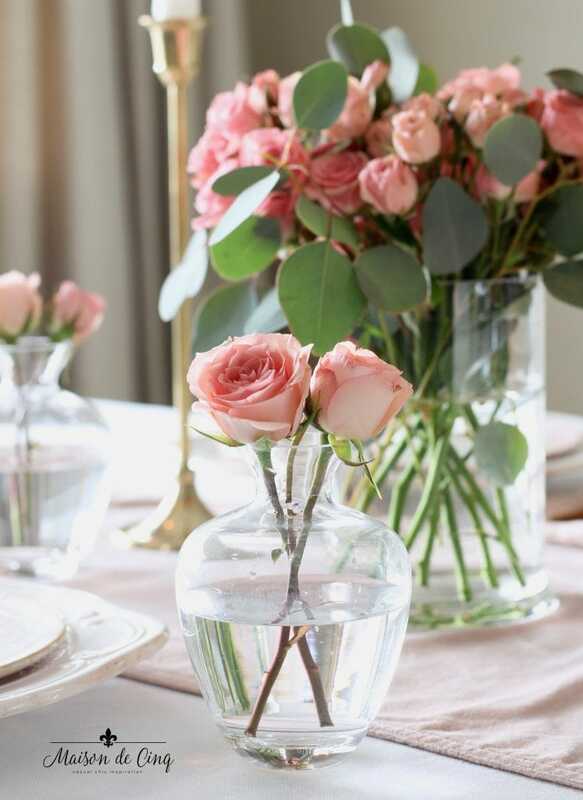 The little bud vases I bought at Pottery Barn last year and I just sprinkled them all down the table. Or, if you still have younger kids, take a look at last year’s table that I did, and make it a family night with little candies or gifts for everyone! Looking for ways to recreate this table? Sources are below (and where something isn’t available anymore, similar items are listed). 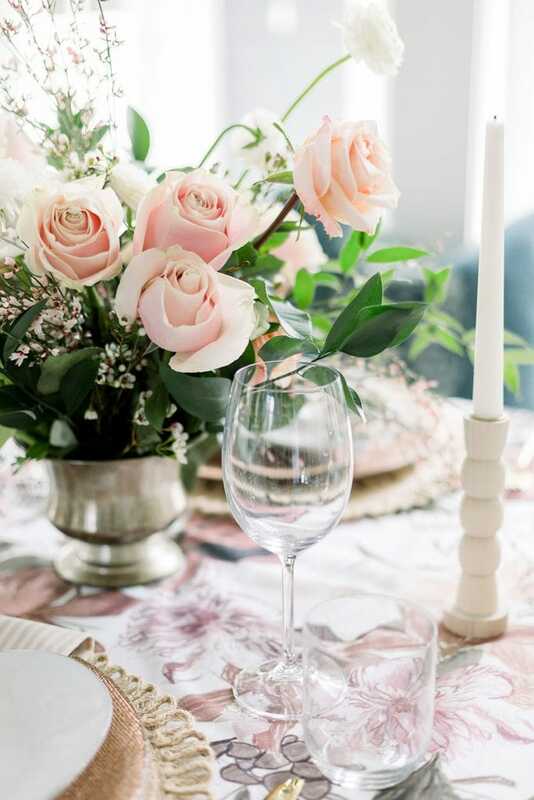 I hope this helps you create a Romantic Valentine’s Day Table for Two of your own! 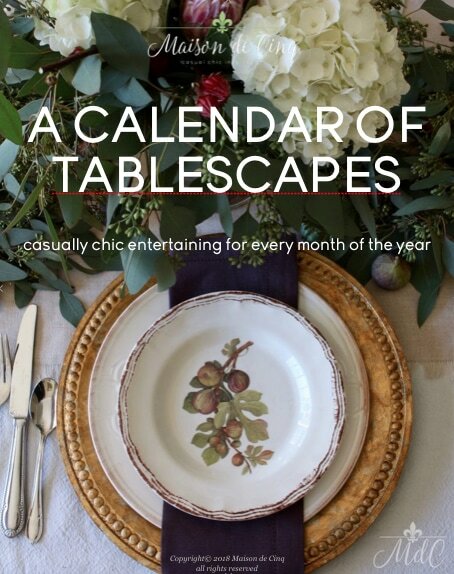 Be sure to check out my new free e-book, A Calendar of Tablescapes! 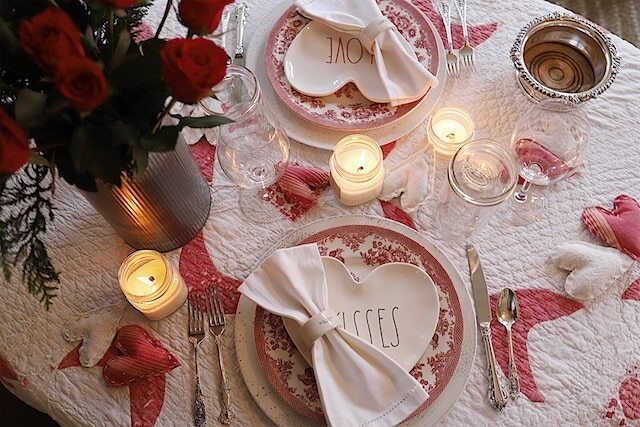 More Valentine’s Day Tables for Two! 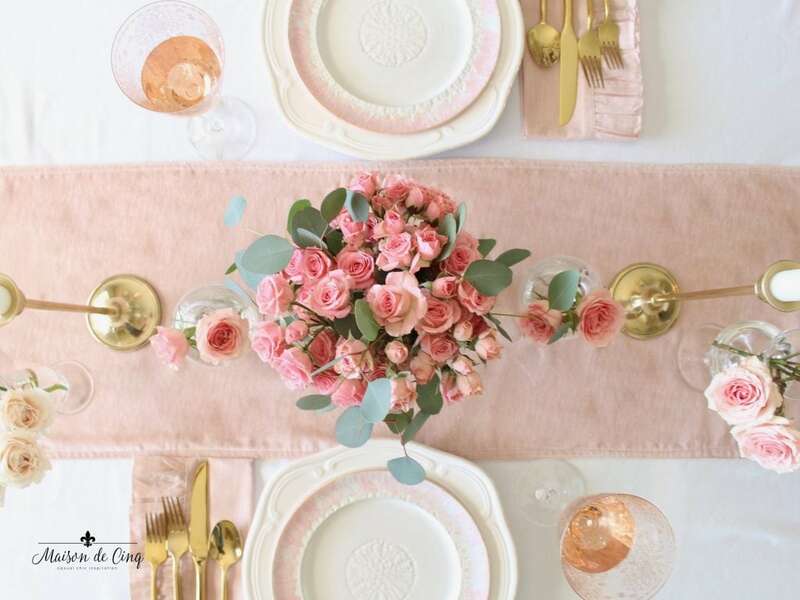 I’m joining six friends today who are also sharing some fun and romantic Valentine’s day tables! Be sure to check them out below! What a beautiful table Sheila. I love the soft pinks so much! Thank you so much Jackie :)! I saw your picture on IG and just had to hop over to your blog and investigate a bit more! 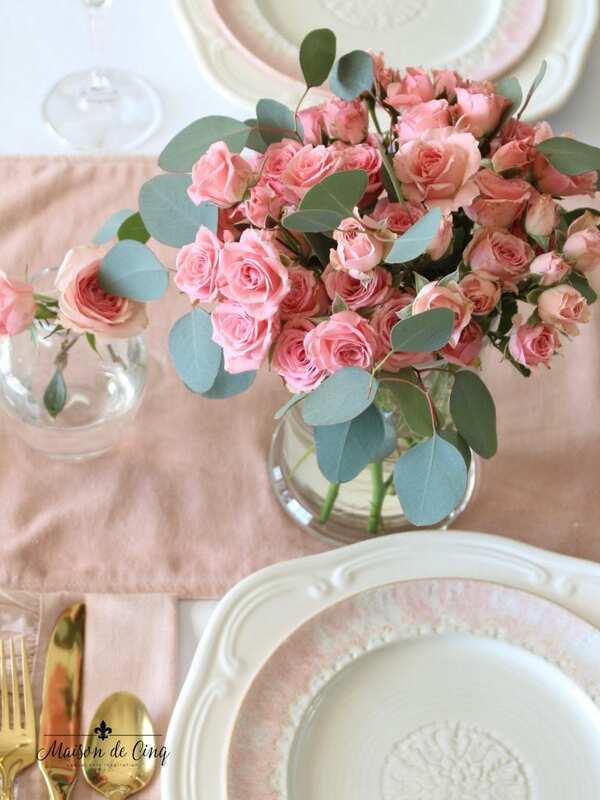 I love pretty table settings, and ones that especially involve pink. 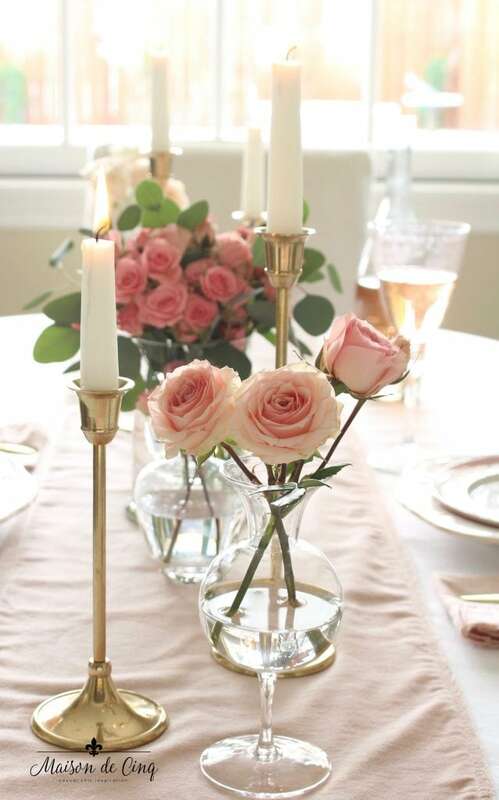 What are the sizes of your brass candlesticks, and do you have 2 of them on either side of the centerpiece? (I don’t know if I can purchase those right now since I splurged to get the beautiful glasses. I didn’t “need’ them, but I couldn’t resist! Ha! ) Fortunately, I have the perfect dinner plates for this setting. They are white with a pink trim and gold polka dots. Thanks for sharing! 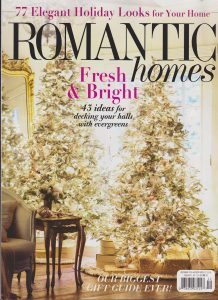 I loved your blog post and I loved being in this blog hop with you. Your house looks gorgeous. As always! Aww you’re so sweet – thank you Leslie! It was great to “hop” with you, too! 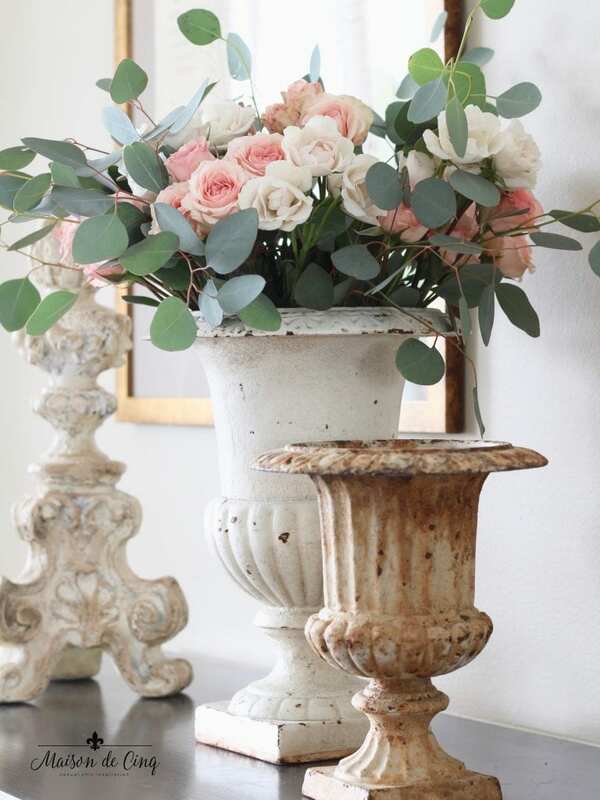 I am always a fan of a soft pink and subtle green. It lets the flowers shine. 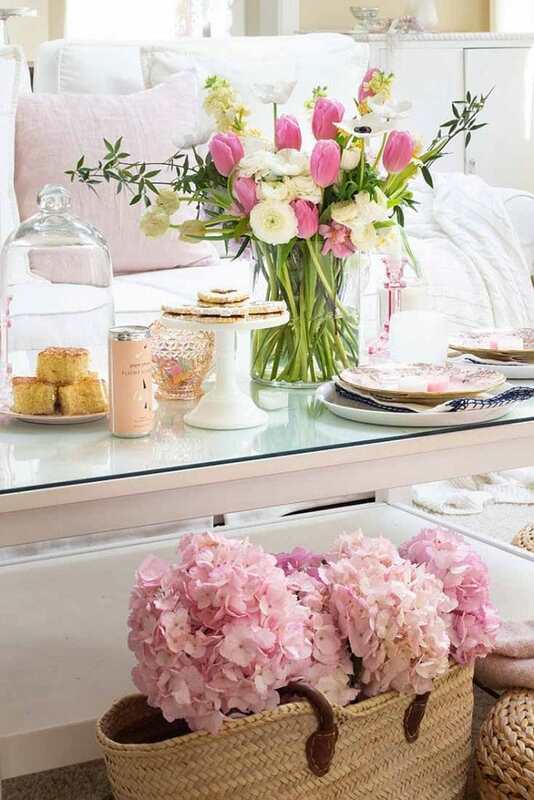 Sweet table. 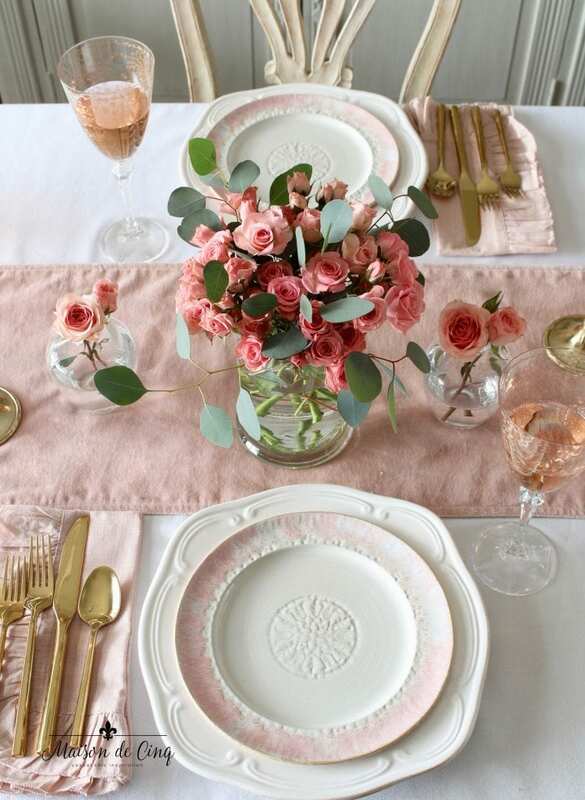 I like my dishes that have a soft pink too, not overpowering esp with food. Thanks for the share. Thanks so much – I really appreciate it! Hi Sheila, I’m a Shelia too. Mines just spelled differently! 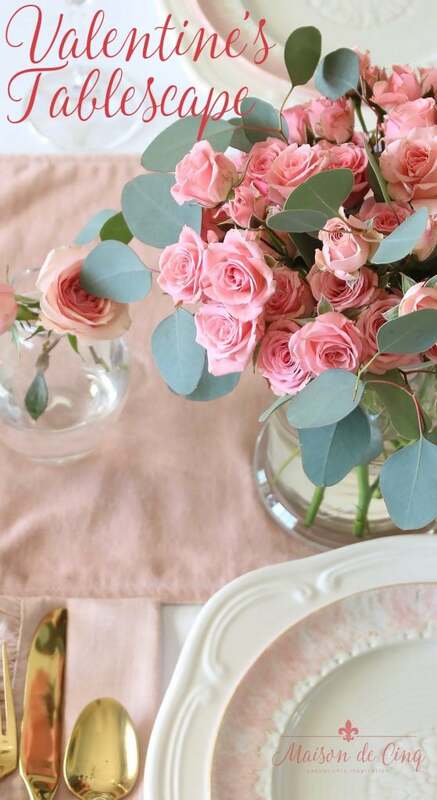 I love those tiny pink roses and much prefer them over red. They’re so soft looking with the gold candle sticks. We don’t go out anymore for Valentines either. Too crowded and expensive. I much prefer an intimate quiet evening at home. We’re empty nesters for a lot of years now, so we like the peace and quiet, lol. Enjoy the rest of your week! I love meeting a fellow Shelia! And yes, I couldn’t agree more – it’s possibly the worst night to go out ever! Thanks so much for your kind words and for stopping by!